Looking for a local holiday gift idea? Northside bakeries offer a number of seasonal cookie varieties. wonderfully warm and somewhat sad tale of his boyhood years in the rural South. He’s describing his family’s preparation for Christmas. It was a joy to hear the book read on WQED for many years. Schorr Bakery in Observatory Hill creates “Zimtsterne,” a wonderful shortbread and nut cookie covered with cinnamon sugar. Now that Thanksgiving is history and the trays of turkey and pumpkin shapes are gone from the bakery case, the Zimtsterne (German for “cinnamon stars”) will be available until Christmas. 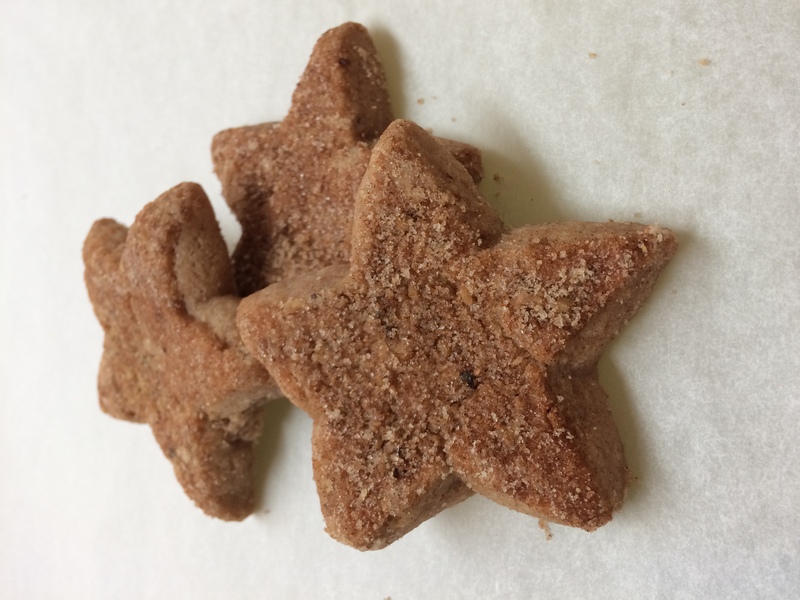 “Zimtsterne,” German for “cinnamon star” cookies, are available to order from Schorr Bakery in Observatory Hill. Priory Fine Pastries on East Ohio Street in Historic Deutschtown continues a tradition established by many bake shops located in most Northside neighborhoods. Their wonderful apricot and nut-filled kolaches are not only scrumptious but are a great reminder of the Bohemian community who lived in the Spring Garden Valley and the “Bo-Hill” section of Troy Hill. Mayfly Market & Deli recently opened at the site of the former Allegheny City Market on Arch Street. During the holiday season they will be offering a variety of handcrafted cookies and baked goods made by Root Seller, another Northside-based operation. on Chestnut Street in East Deutschtown. They definitely have best thumbprint cookies in the city now that Kaufmann’s bakery closed operations. This tale could go on and on. One way to provide a variety of holiday cookies for family and friends is to organize a neighborhood cookie exchange or go to a local cookie sale. Happy Holidays!